St Patrick of Ireland is our beloved chief Irish Patron Saint. Affectionately, we call him Saint Paddy and St Pat. Not much is known about St Patrick's biography, but we know that he was a successful missionary. 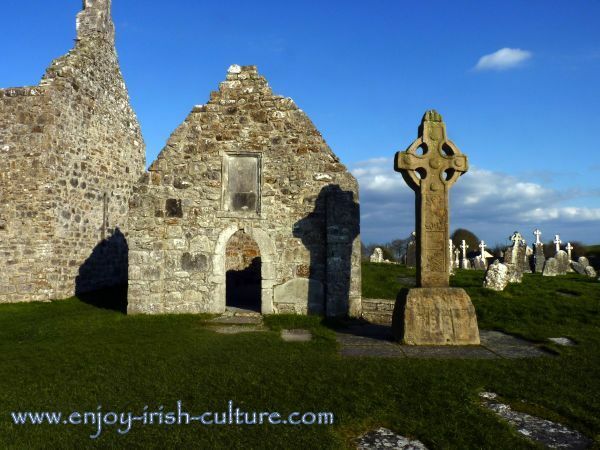 He did convert many Irish to Christianity, even if he cannot be credited with being the first to bring the faith here. So, how did St Patrick succeed at converting so many Irish people to Christianity? Patrick, through his experience of living in Ireland as a slave for some six years, had insight into the existing culture. This knowledge helped him greatly when he came to live here as a missionary. St Patrick became a skilful politician. He knew how to smooth things with gifts or bribes in order to negotiate the dangers he faced as a foreign missionary living among a plethora of pagan Irish local kings. He understood the importance of building alliances with local leaders. St Patrick of Ireland converted not only poor and vulnerable people, but also some wealthy ones, notably women, such as the daughters of chieftains who would donate their wealth to the church. These women would often go on to lead their own congregations of nuns. This built a solid base and ensured the survival of the religious community. These, we can say, are his own personal skills that helped him succeed. But other factors, too were working in favour of the work of St Patrick of Ireland. 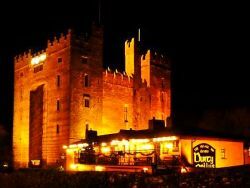 Some of the Irish kings eventually realised that adopting the Christian faith brought them political advantages, such as an opening up to the outside world, and a backup for their own power in the powers of the church. They could work with the church, write laws for example, to further their own advancement. Also, early Christianity adopted many pagan fest days and traditions which made conversion as easy as possible. People’s lives didn’t have to change very much if they converted. That surely was a help. Celtic High Cross and early Christian church at Clonmacnoise, Ireland. Saint Pat, did he really bring Christianity to Ireland? Twelve historically proven facts about this saint. Take our 10 question St Patrick's quiz! There were some features of the new faith brought by St Patrick of Ireland that would have resonated with Irish pagans. For example, the concept of the holy trinity would have made sense to them, as they were used to worshiping gods in groups of threes. Christianity’s central image of a crucified Christ would have felt quite natural for Irish pagans, too, as they were still practising human sacrifice. And, finally, another huge event which occurred probably sometime after Patricks death helped to speed up the process of conversion to Christianity. Ice samples taken in Greenland, as well as evidence from tree rings have shown that an extreme event, probably an impact by a meteor or a huge volcanic eruption, took place early in the 6th century and affected the weather not only in Ireland but world-wide. 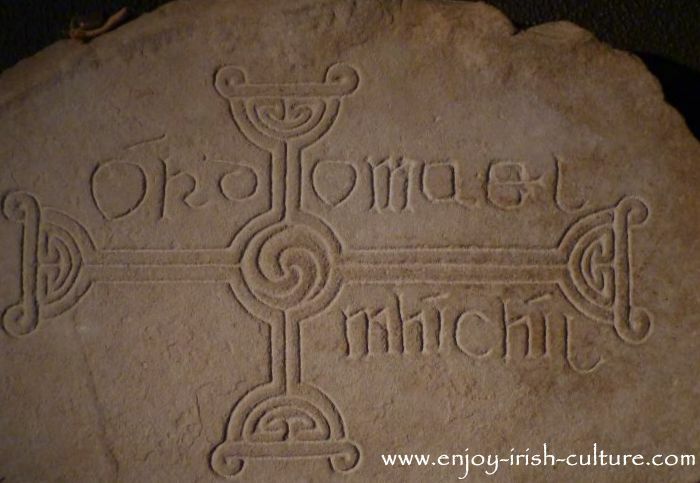 Early Christian Cross at Clonmacnoise. It caused a drop in temperature and much less sunlight than normal. These changes would have resulted in crop failures for many years in a row causing famine and famine related diseases. Many would have died and there would have been immense suffering. It was after this period that the rate of conversion to Christianity started to pick up speed. Here was a new God, one that offered an explanation for what was happening. People had abandoned God, so God became angry. The implication was that, if you followed the dogma and did things right, you had control over the threatening natural world. So, in conclusion, we would argue that Saint Patrick of Ireland became an important historical figure because he was a skilful and determined evangelist for one thing, but also because he was in the right place at the right time in history!